The silver plan, paid by use, has been replaced with a $50/month pro tier. Now I'm using Heroku, whose paid plans start at $7 US/month. Insert your own values for **CAPITALS**. Install Git for OS X. [Note] Press Ctrl+Click to open installers rejected by OS X 10.9 (Mavericks). This happens for anything outside their App Store and approved developer list. It can be disabled from System Preferences > Security & Privacy. Install RHC using RubyGem using Terminal. There will be a prompt for admin access, then wait a minute. Setup RHC. 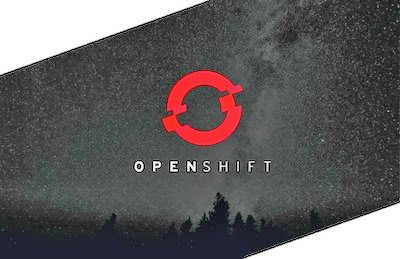 Enter the OpenShift login from earlier, accept the defaults and pick a unique RHC namespace. git config --global user.email "**EMAIL@ADDRESS.com**"
git config --global user.name "**YOUR_NAME**"
Verify Ruby and Git have installed properly. Create the Ghost application. Pick a meaningful name. The first time this is done the authenticity of your site likely can't be established, so just type 'yes' when prompted. If setup get stuck after this, press Ctrl+C and clone the git repository manually. If you don't make it that far or want to start fresh, delete the application and free up that app name. Navigate into the new directory. Edit the files there manually. To see info about your app type the following. Update and push out changes like this. Then restart the app to put those changes into effect. Don't forget to take regular snapshots! Download and copy themes into **APP_FOLDER**/content/themes. Apply changes by updating git and restarting the gear. Downloads are available from these sites. Most are paid. Login to your new blog from the following link. Create an administrator account on the first login. If something goes wrong restart the app and try again. The rest is fairly straightfordward, so you can take it from here. [OPTIONAL] Provide a Gmail account for sending password resets. Edit config.js, but be warned this is not secure! After this is done update git and restart the app. Use the guide to changing Internet domain registrar's cname records. For details on this this site is configured, please see the link below. Be warned that the theme used costs around $24 US. [BONUS] To make running multiple commands simpler I recommend adding aliases to .bashrc, hidden in your home directory. Many thanks to Andrew Hobden (aka. Hoverbear) for providing just enough taunting/direction to help.